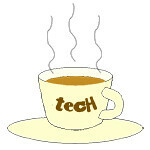 Government « Tech bytes for tea? Interview: What does a career in Big Data Geo-Analytics look like? 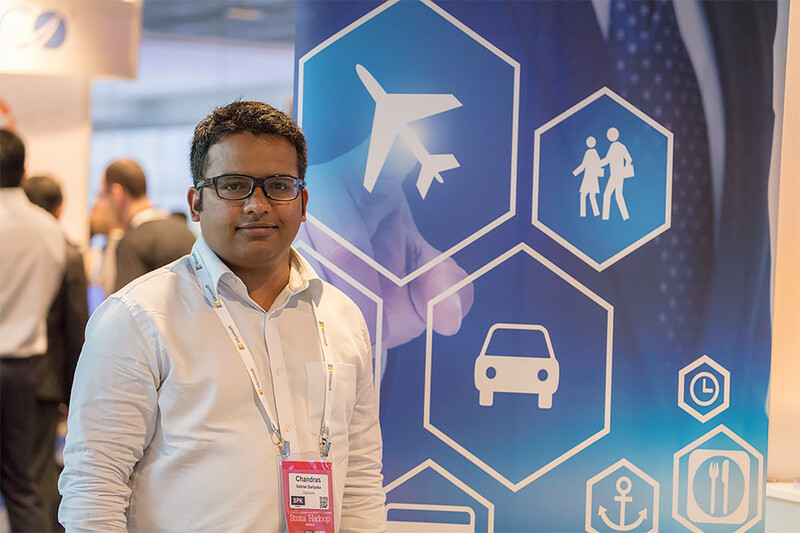 Get the scoop from Chandra Sekhar Saripaka, who is a Senior Data Engineer at DataSpark. Chandra is an experienced software engineer with more than 10 years in the IT field that included stints in major banks. An aspiring Big Data scientist should look no further than Chandra Sekhar Saripaka. Chandra has had an illustrious career since graduating from the Jawaharlal Nehru Technological University in Hyderabad, India. He began his career with Laser Soft Infosystems (a Polaris company) in 1995 where he progressed rapidly to become a senior software engineer leading a team of 13 before joining Franklin Templeton Investments one-and-a-half years later as a senior software analyst. 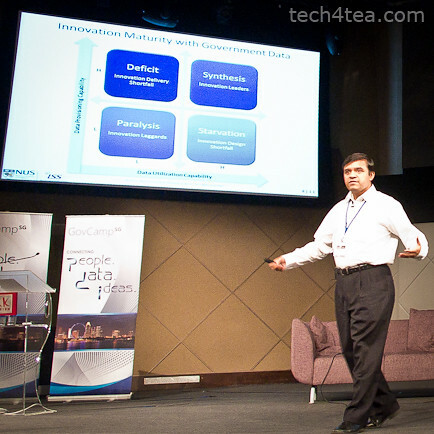 Chandra went on to join OpenText as an Advanced Software Engineer for two years, Standard Chartered Bank as a Senior Software Engineer and Framework Specialist for a further two years, and Barclays Investment Bank as a Big Data Lead for a year – before commencing his current job with Singtel and DataSpark in May 2014 as a Data Scientist. As a Senior Data Engineer with DataSpark, he was one of two speakers from the company who participated in Strata + Hadoop World 2016 in Singapore, a conference which attracted the top minds around the world working on Big Data and analytics. Chandra spoke on how to go “from telco data to spatial-temporal intelligence APIs”, by “architecting through microservices”. He explained in detail the production architecture at DataSpark and how it works through terabytes of spatial-temporal telco data each day in PaaS mode. Chandra also shared with fellow data scientists attending his talk how the platform operates in SaaS mode. Chandra’s in-depth knowledge of Big Data makes him the best person to give pointers to an aspiring IT engineer in the field. I’ve asked Chandra to share his valuable insights on carving a career in this intensely competitive arena. What must today’s IT worker do to get a foothold in Big Data? Chandra: There is a paradigm shift in the way traditional software is being transformed into data-driven software. With the rise of many small and medium startups in the market, various cloud-ready tools – in terms of storage, compute, processing and visualisation – have emerged. 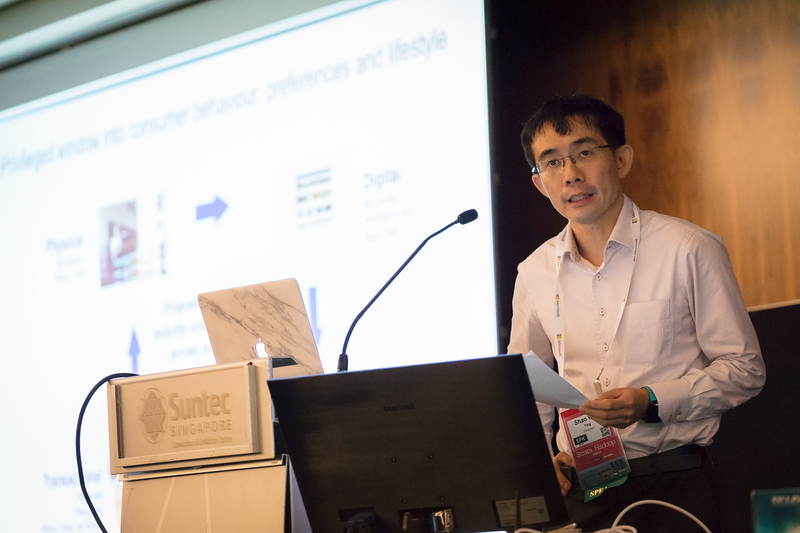 Ying Shao Wei – Chief Operating Officer, DataSpark – was one of the distinguished speakers in Strata + Hadoop World Singapore to helm a session attended by fellow data scientists and C-suite leaders as he shared his insights into the analysis of “mobility as a vital sign of people and the economy”. 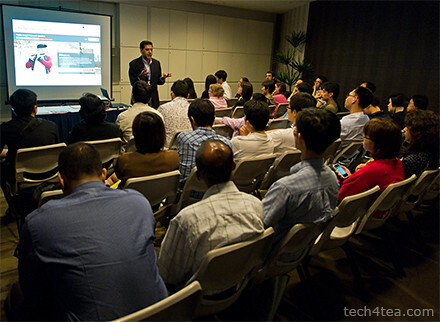 Strata + Hadoop World Singapore 2016 saw the congregation, in Singapore, of thought leaders in the Big Data analytics and insights arena, enabling practitioners to learn through the sharing of experiences and exchange of ideas. It also provided participants the opportunity to network for future collaboration. To understand more about Big Data and where it is heading, I sat down with Ying to tap his insights into the trends and prospects of Big Data in this fast-paced sector. Big Data is the buzz word in the world of Enterprise IT. However, to the man in the street, how does Big Data affect them in their daily lives? Ying Shao Wei: There are significant ways in which Big Data is already benefiting the man in the street. Ying is a veteran in the Big Data sector with deep expertise in telecommunications and Government sectors in multiple geographies across Asia. The Imperial College graduate had served as a Deputy Director in the Ministry of Trade and Industry in Singapore, and was an Associate Principal in McKinsey and Company, before joining Singtel as Head of Strategy and Analytics in the Digital Life Group of the leading telco in Singapore. Since 2014, Ying has led DataSpark as its COO, transforming the fledgling startup into an innovative Big Data analytics and insights powerhouse which leverages a variety of datasets and technologies to address geo-spatial needs across multiple industries. Big Data enables the huge amount of customer feedback – through online reviews and social media – to be processed so that companies have a better chance of responding to and acting quickly upon such feedback. So with Big Data, customers are more likely to have their preferences addressed. When you visit an e-commerce website, you will be provided more relevant recommended products and services, thanks to recommendation systems enabled by Big Data. Because of Big Data, I am able to see and sense my surrounding environment with better clarity than ever before. When I use online maps to navigate or plan for a journey, I am using Big Data to save tremendous time and effort in getting from one place to another. With Big Data, mobile subscribers are also now getting better network experiences when they use their mobile broadband connections. As a follow up on the opinion piece that Tony Jarvis contributed yesterday on Endpoint Protection, I asked him to share his take on the Singapore Government’s move to cut Internet access from work computers used by civil servants from May next year. Tony Jarvis is the Chief Strategist (Asia, Middle East and Africa) for Check Point Software Technologies. Question: Is banning internet the right approach to securing government? There is no right or wrong approach around banning the Internet. At first glance, the decision to ban Internet access might seem extreme. The Singapore Government is cutting off Internet connections from work computers used officially by public servants from May 2017, in an effort to plug potential leaks from work emails and shared documents – amidst today’s advanced security threats. Employees can still surf the Web on their personal smartphones and tablets since these devices are not connected to the government network. Dedicated Internet terminals will be issued to those who need them in work. However, it is important to note that this decision will have been made after careful review, taking into consideration a number of factors. For example, removing access to the Internet will bring with it the benefit of reducing exposure to many threats. Unfortunately, this comes at the expense of the productivity and effectiveness of the organisation and its employees. These are policy decisions made by organisations, in this case, the government, and we are certain that they have considered multiple aspects. This particular case highlights the ongoing challenge organisations have remaining secure in a connected world. I invited Tony Jarvis from Check Point Software Technologies to share his opinion on how best to secure an organisation’s network and IT assets. This guest blog is written by him. With every detection of a new threat, the security landscape evolves and attackers are no longer just looking at inventive ways to infiltrate a network but also innovative evasion techniques and the damage it will inflict. “To say the security landscape is constantly changing would be an understatement,” says Tony Jarvis, Chief Strategist (Asia, Middle East and Africa) for Check Point Software Technologies. What really matters is how vendors respond to the ever-evolving landscape and not just make incremental enhancements to existing solutions that still predominantly focus on detection, rather than prevention. Central to any effective security strategy is the ability to stop threats before the initial compromise. The only way to do this is with prevention. Many vendors simply can’t do it, which is why they talk about detection. I also asked Tony specifically for his take on the Singapore Government’s move to cut Internet access from work computers used by civil servants from May next year. Here are more of his opinions in a Q&A format. The majority of solutions being deployed today rely on a detection capability, with some requiring users to choose whether infected files should be quarantined or allowed to pass through. Not only is this intrusive to the user experience, it’s also prone to human error. Inflexible deployment models calling for an all or nothing use of cloud or private malware analysis fail to meet many customers’ requirements. To make matters worse, the sandboxing process often takes too long, giving malware plenty of time to get to work before its presence becomes known. SingTel today announced that it has chosen HP as its strategic partner for the G-Cloud five-year tender award by the IDA. 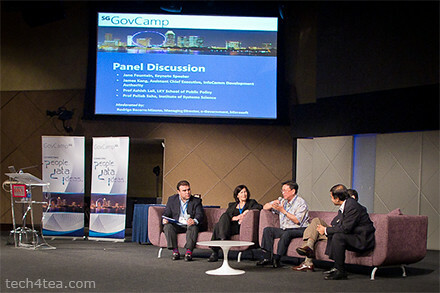 G-Cloud will be the first extensive private cloud for all government agencies in Singapore. SingTel and HP will partner to build “Innovum” which will power the Singapore Government G-Cloud. SingTel and HP will implement a private cloud computing infrastructure on a whole-of-government basis. The SingTel-HP partnership is known as ‘Innovum’ – formed by the words ‘Innovation’ and ‘Continuum’ – and is aligned with SingTel-HP’s vision to drive continuous innovations for cloud services in the Government sector. Microsoft marries the desire of the citizenry for a bigger voice and the Government’s post-election impetus to better cultivate social media – by bringing the community together to examine the role that technology plays in oiling the interactions and engagement. Thought leaders, citizens, students, government officials, developers, public servants, web 2.0 advocates, bloggers and community members concerned with technology, open data and open government converged to The Rock Auditorium in Suntec City. Breakout sessions mooted and voted by participants. The multi-track conference started at 3pm and will end at 10pm. Following the opening speech by Jessica Tan, Managing Director, Microsoft Singapore; speech by Guest of Honour, Ms Grace Fu, Senior Minister of State, Ministry of Information, Communications and the Arts; Jane Fountain delivered the keynote speech. This was followed by a panel discussion between Jane Fountain, James Kang, Prof Ashish Lall, and Dr Pallab Saha – moderated by Rodrigo Becerra Mizuno, Managing Director, e-Government, Microsoft. 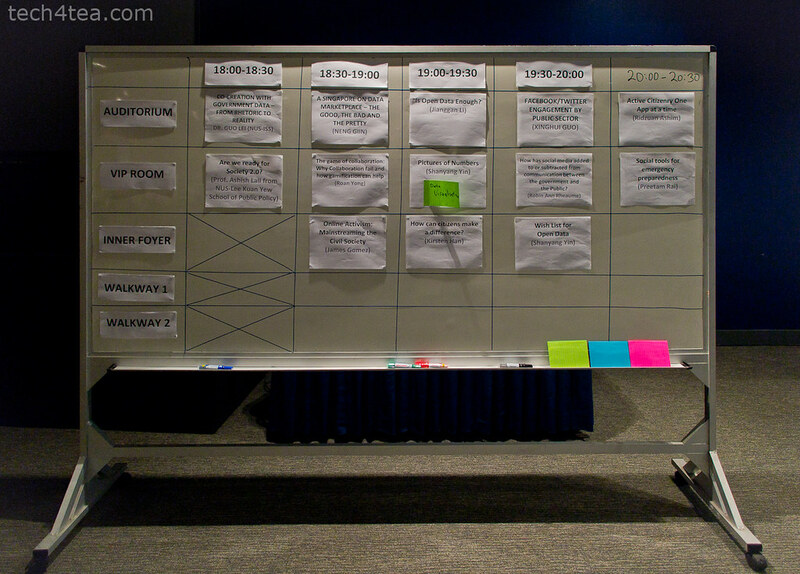 The detailed agenda for GovCamp and the full designations of the speakers can be found here. After the break, participants broke into smaller discussion groups to focus on topics that they had earlier proposed and voted upon. 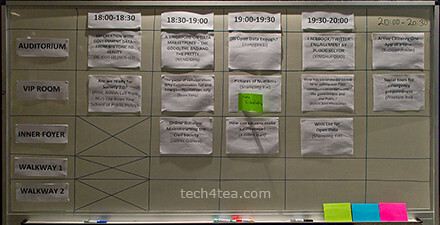 The list of topics for the sessions can be found here. Overall, the impression I got from the event was that it was well-attended, with good levels of interaction and discussion. Hopefully, there’ll be more of such engagement sessions in the future.